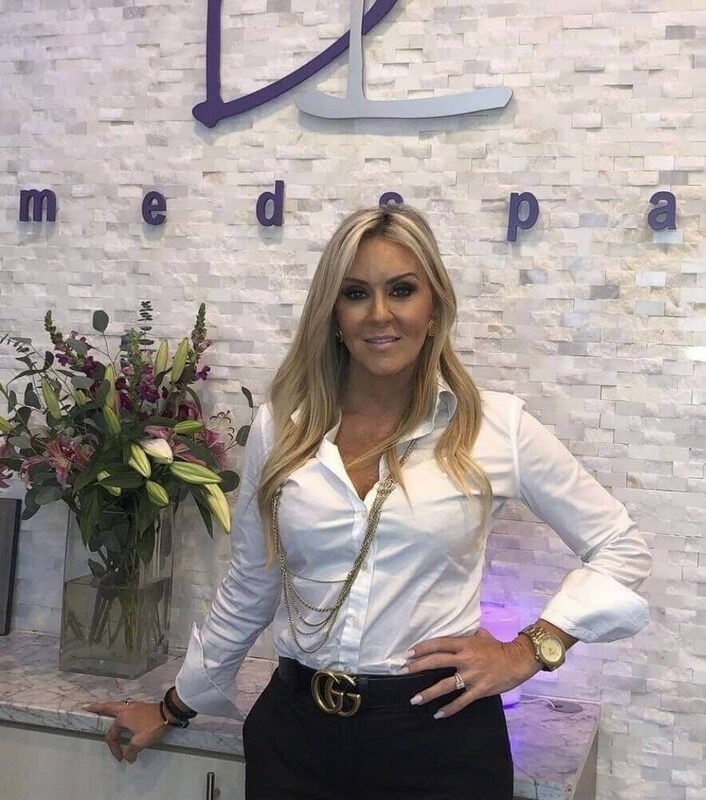 Dana Herbertson is the managing director of The Derm Lounge Med Spa, and is an advanced certified aesthetic injector with a degree in Surgical First Assisting and Surgical Technology. She is also a certified laser technician and a licensed medical aesthetician. With over 23 years of experience in the skin care and medical industry, Dana adheres to the philosophy that every patient's skin is different and each patient's needs are identified through proper consultation. The Derm Lounge Med Spa is a boutique cosmetic practice that specializes in nonsurgical medical aesthetic procedures. We are led by medical aesthetician Dana DeLucia Herbertson, who brings nearly 25 years of experience to our practice. Our team of licensed medical professionals and skilled aestheticians believe that a personal and tailored approach to aesthetic care is key to producing the best results possible. We work closely with all of our patients to help them achieve a younger and fresher look to their skin and body. Call us today to schedule a one-on-one consultation with one of our skin care experts. A cosmetic wrinkle relaxer that significantly diminishes the appearance of wrinkles. Dermal fillers that produce a youthful contour and restore facial volume. Medical-grade facials that revitalize dry or tired skin for a beautiful glow. Explore our aesthetic procedures that combat the signs of aging skin. I have had several acne treatment facials and other services here, worked with Jessica for facials several times and recently had the pleasure of being treated by Dana the owner and she was so thorough and careful with my skin. I look forward to future appointments with them. Dana is amazing! I've never been to Derm Lounge and was looking for a VERY last minute Botox appointment for an unexpected upcoming visit from my boyfriend. Dana came in on her day off to accommodate me, someone she'd never met. I cannot thank you enough Dana! In addition, I was so impressed with her knowledge and expertise. I will definitely be back! Dana is knowledgeable, quick (and painless) in administering treatments and a very good listener. Dana (and the whole staff) makes you feel very comfortable the minute you arrive. This clinic is a gem among the rest! Love Dana's injection technique, painless and fast. She listen to my concern in regards to my problem areas and she delivered what I wanted. Never disappointed with any of Dana's services! View before-and-after photos of patients just like you. Read through our patient testimonials to learn more. Tour our boutique Med Spa and see all we have to offer. Visit the link above to view our current cosmetic specials.